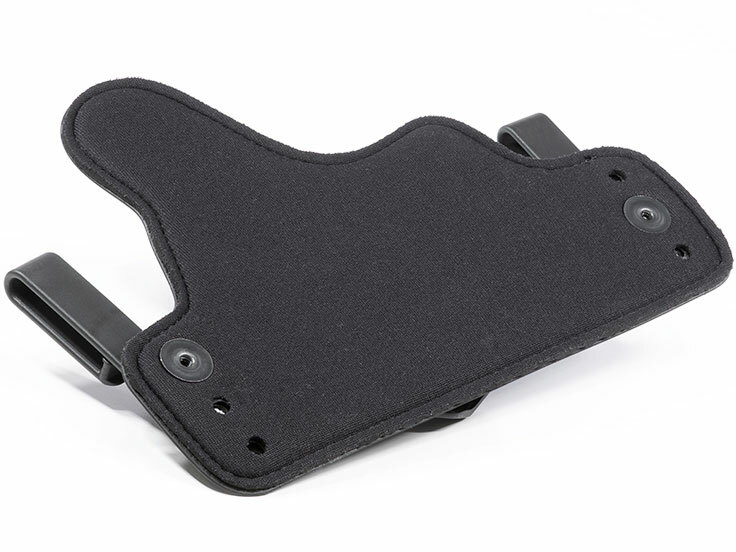 It's tough to find a snubnose that's as solid a value as the Taurus Protector series, and the same could be said about the Taurus Protector holster line from Alien Gear Holsters. Whether it's on the belt rig you're looking for or a Taurus Protector concealed carry holster, we make it, and we deliver better function for value than anyone. Both IWB and OWB models are available, all featuring the custom-molded, adjustable retention shells that Alien Gear is known for. Shells are made specifically to fit a specific model of pistol, not the one-shell-fits-all routine that many other holster companies are known for. We also install our retention shells with adjustable hardware, so you can set the retention to your satisfaction. Alien Gear makes hybrid holsters, employing a retention shell and a holster base. IWB holster bases include the leather Cloak Tuck, and multi-layered Cloak Tuck 2.0. The 2.0 features a neoprene back pad, which keeps moisture out and puts a plush padding between the gun and the wearer. OWB fans can also select the Cloak Slide, a belt slide OWB holster made from the same premium leather as the original Cloak Tuck and likewise available in black or tan. Our IWB revolver holsters also have adjustable belt clips, so the wearer can set the ride height and grip cant to their desired position. Several options of belt clips are also available, including metal clips, standard black nylon, leather loops, and both C- and J-Clips, for tucking the belt over the clip. 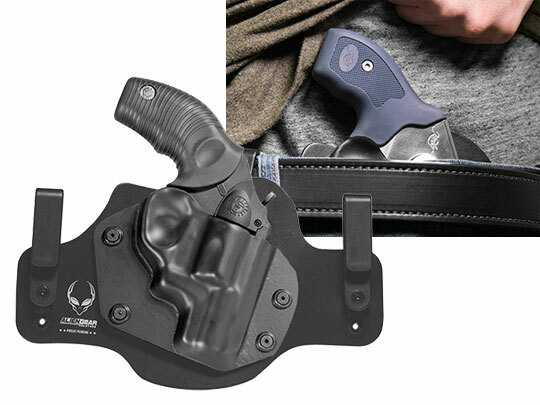 With the holster, you also get a guarantee - Alien Gear's Iron Clad Guarantee. We guarantee you a 30-Day Test Drive, so you can wear the holster up to a month and determine if it's exactly what you wanted. If not, we will buy it back. 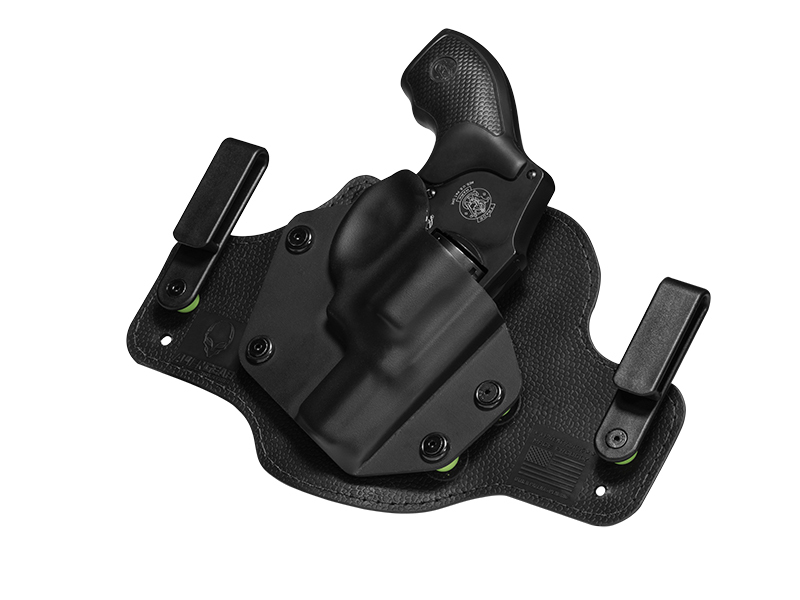 We also guarantee a Forever Warranty on the holster, and we will fix any issue or replace the taurus protector holster. We also offer a lifetime of retention holster shell trades, so you can swap out the retention shell for a new model if you ever trade in your pistol. That said, revolver shells are only compatible with revolver holster bases, so you'll need a new holster if you trade in for an auto. 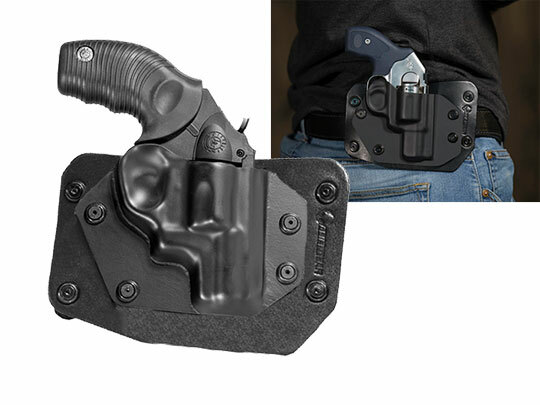 However, with the guarantee and the award-winning function of Alien Gear...it may be the last holster you ever need.